Last Thursday, January 4, approximately 22,000 Wisconsin business leaders and residents received the inaugural issue of The Wisconsin 100 in their email inboxes. Milwaukee-based Branigan Communications launched the new eNewsletter, website and social media platform in partnership with PR publishing network The 100 Companies. Readers of the biweekly newsletter can expect 100-word stories and 100-word videos on topics of local interest ranging from business to lifestyle. The issues will cover life and business in Wisconsin, as well as the ways the state is influencing the national and global stages. The Wisconsin 100 marks the 16th member of The 100 Companies. Other member markets of the international PR publishing network include Alaska, Arkansas, Atlanta, Boston, Colorado, Dubai, Houston, Memphis, New Orleans, North Carolina, Oklahoma, Pittsburgh, Tallahassee, Tampa Bay and Washington D.C. 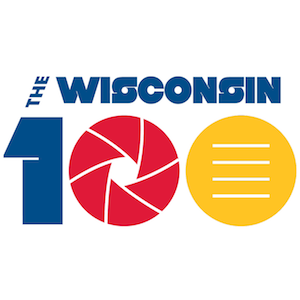 In addition to the bi-weekly eNewsletter, The 100 Companies has also launched a new website, http://www.thewisconsin100.com, as well as social media platforms for The Wisconsin 100 on Facebook, Twitter and Instagram. The 100 Companies is the world's first PR publishing network that provides PR firms an opportunity to not only deliver stories about the markets it serves, but also to share content in other markets throughout the network. The platform features 100-word stories and 100-second videos in eNewsletters, websites and social media platforms. The international network currently includes 16 markets with plans to have partners in all 50 states by the end of 2019. The 100 Companies was named as a finalist in Georgia's MAX Awards (Marketing Award for Excellence) in 2017. The Atlanta-based firm traces its roots to the October 2013 launch of The Atlanta 100, a weekly eNewsletter and website with social media platforms created by an Atlanta public relations firm. The Atlanta 100 was named as a finalist in the Atlanta Press Club’s 2013 Awards of Excellence, as judged by the National Press Club, alongside CNN and The Weather Channel. Based on the success in the Atlanta market, The 100 Companies was spun off as a separate company and expanded in January 2016 to additional markets from Denali to Dubai. Learn more at http://www.the100companies.com.